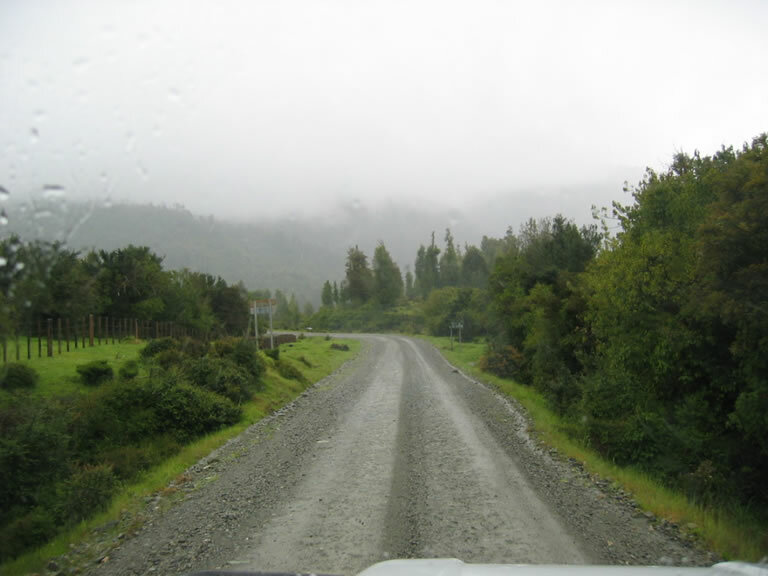 The road is described as "camino ripio" - paved with stones - which on the whole is a fairly accurate description, although the first few kilometres were on a fairly smooth paved road. 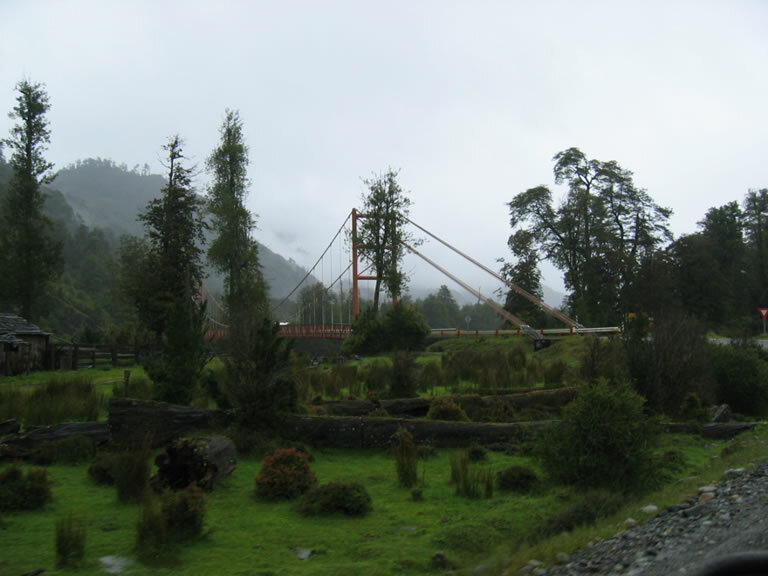 The initial drive took us past Puerto Cárdenas on the shores of LagoYelcho, and through La Junta, a former estancia. 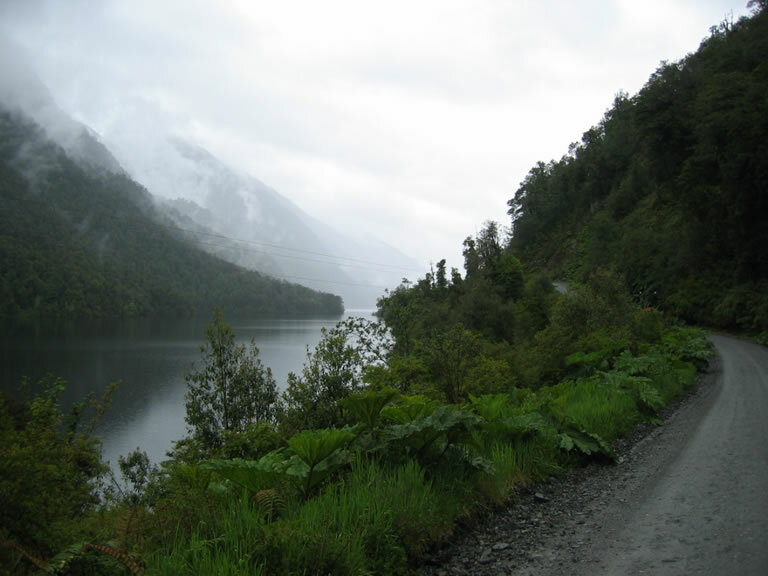 The surroundings are alpine like with tall evergreen trees lining the road, waterfalls spilling down the hillsides and snowcapped mountains in the distance that you could just see through the grey mist. You could also make out the snowline that looked more like a line of shadow. 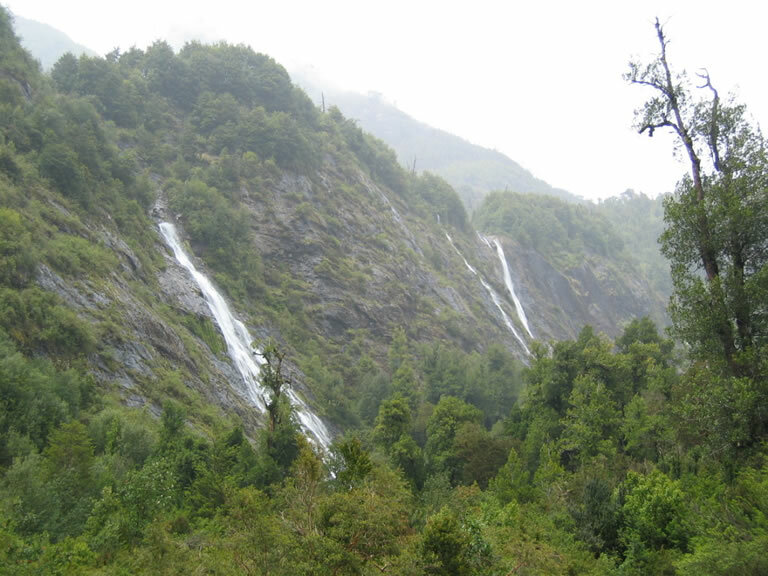 As we neared the Parque Nacional Queulat the vegetation up the steep hillsides became a lot more jungle like and the road became a little rougher, narrower and windy. The route was definitely getting more interesting. 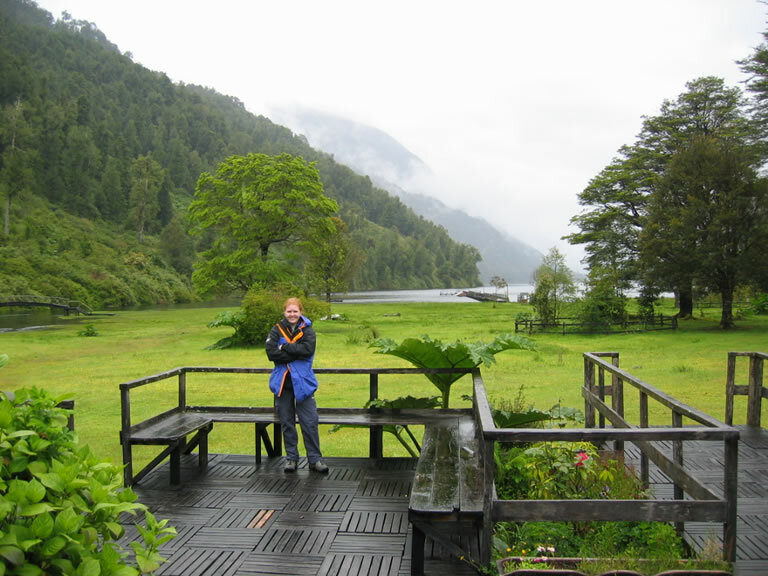 After driving through the park entrance gate we came to Puerto Puyuhuapi. Our intention was to camp there the night, but as the weather started to close in and we couldn't see an obvious place to camp, we turned back a few kilometres out of town to where we had seen a sign for cabañas off the road - Cabañas El Pangue. There was a central lodge with about 10 very smart cabins, each comprising a double room with a small lounge area and bathroom. The outdoor heated pool at 32C looked very tempting despite the coolness of the weather and the light rainfall. So after checking in we headed out to enjoy the mountain views whilst having a swim and then returned to the lodge for a great dinner of fresh salmon. The lodge also arranges fishing trips and if we had had more time it would have been nice to relaxed there for a couple of days.